Our HtmlElement abstraction leaks. It’s supposed to encapsulate all the details of event handling, but our event handler functions expose the underlying JQuery event object. 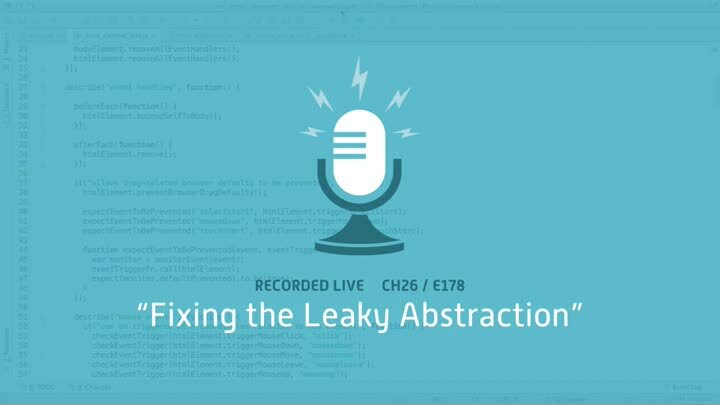 To clean it up, we need to figure out how to modify our client tests so they don’t rely on that leaked event. We could inject a mock object, but I have another idea.